The ATF recovered and traced more machine guns in Pennsylvania than in the past four years combined, the Pittsburgh Post-Gazette reports. 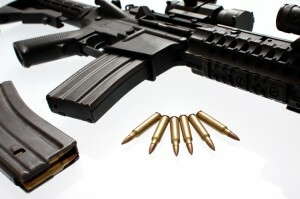 The ATF issued the alarming report, which states that the ATF reported 132 machine gun traces in the past year in Pennsylvania. By contrast, the agency traced 110 machine guns between 2009 and 2012. In Pennsylvania, adults can obtain permits to own machine guns. The state has 17,714 such permits. Posted: 6/19/14 at 8:41 AM under News Story.